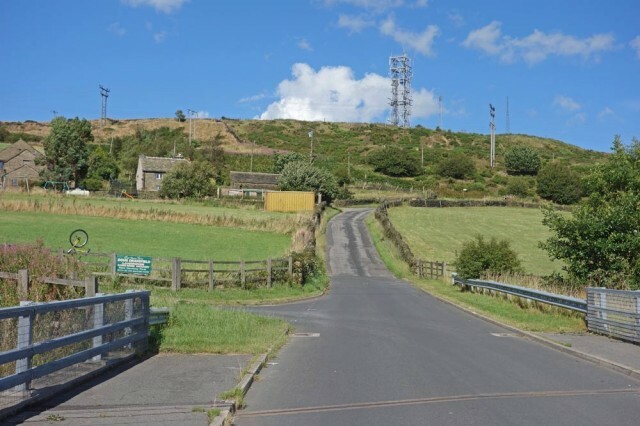 Pea Royd Lane has been the venue for the national hill climb championships in 2009, 2014 and it will be the last minute venue for the 2018 National Championships. It is a classic hill climb length- relatively short and steep with a few sharp corners to make it really testing. The gradient is variable from fairly shallow at the bottom to a gradient of up to 20% near the top. I was driving up north this weekend, so I took the short detour off the M1 to revisit Stocksbridge and have a go at Pea Royd Lane, which I haven’t done since 2009. The weather was warm with a cross wind. It felt like a headwind at the start, but tailwind in the middle. The last section I couldn’t work out. That’s the nature of the course, the wind can be all over the place. The over-riding impression of the climb was it’s steep and also a painful reminder of how hard hill climbs are. 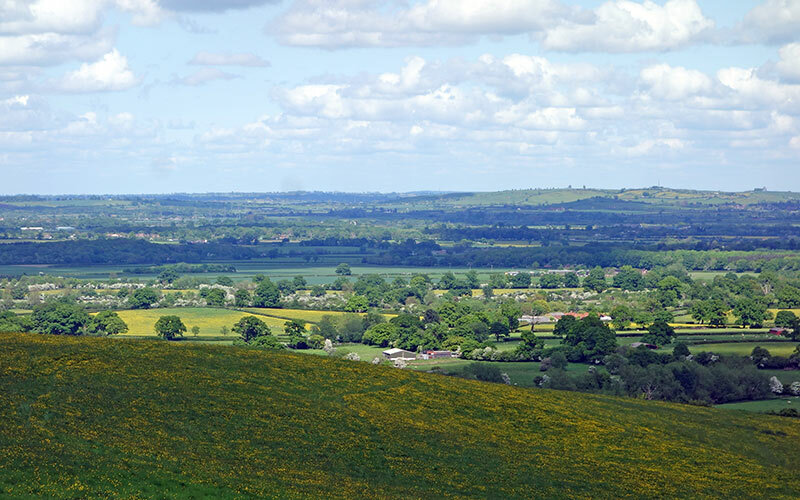 I’ve been looking for a similar hill in Oxfordshire, but there is nothing which gets the same height gain, in such as short space of time – though Whiteleaf hill and Chinnor Hill come close. It’s a hard hill climb because the gradient is always changing. The road surface is also quite rough. There was plenty of loose gravel, chippings and patched up road surface. I hear it is going to be resurfaced soon! Half way up, there’s a slight easing of gradient over the road bridge before the rest of the climb looms into view. I took lots of photos of the climb (see bottom of post). It’s quite a mix of scenic Yorkshire views, with some ageing steel plants and electricity pylons thrown in. Still it’s a good view from the top. 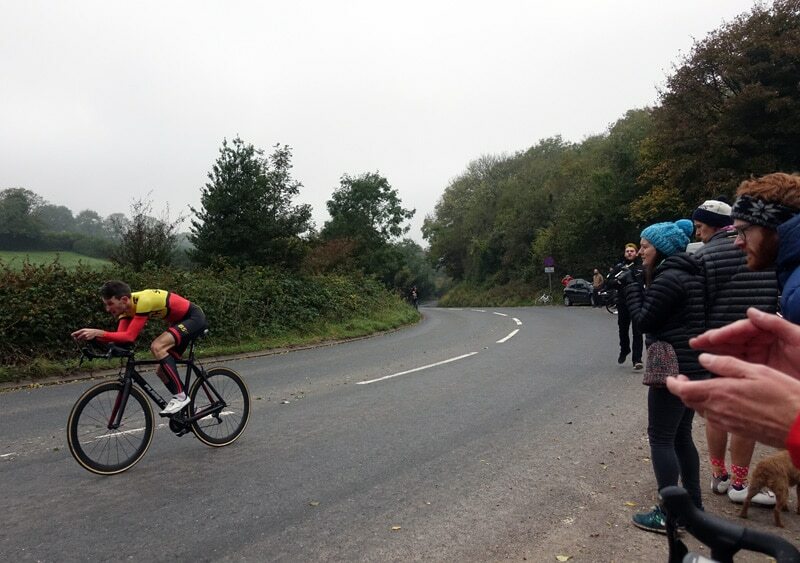 Today was the Oxford University CC hill climb. It was on a private road from the attractive village of Wytham up through the woods used by Oxford University research teams. 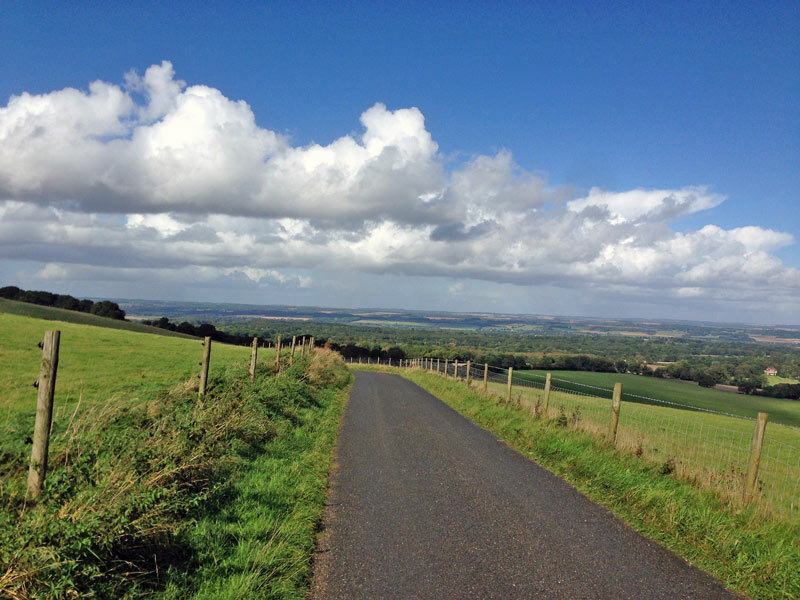 I wanted to do the race because it is probably the only climb in Oxfordshire I haven’t ever done – it is usually closed to the public. It had a lovely smooth tarmac which felt great to ride on. The climb does not rank in the epic category but makes a reasonable four-minute effort. The steepest section is at the bottom, just after the start and then there are several false flats with slight rises every now and then. It means you have to go pretty hard from the off and try and maintain your speed in the last half of the climb. You can’t really get into a rhythm as the gradient is never constant; it was an interesting climb to do. Probably perfect for my current shape. I only entered the event on an impulse after bumping into an OUCC rider at some traffic lights in Oxford. After putting the entry form in, I regretted it almost immediately. In the end, it was kind of worth it, but it felt a bit weird not only to be doing a hill climb but to be even riding a proper road bike. Sometimes when cyclists say ‘they haven’t done any training’ you have to treat it with a pinch of salt. But, in my case, it’s a pretty fair assessment. I was in bad shape three weeks ago, but since then haven’t touched the road bike at all. I’ve spent a year trying to ride through a minor injury but now have given up until it is better. There’s only so much motivation you can muster to ride through aches and pains. A Pathe News video of Kent’s 37th Annual Hill climb championship on Brasted Hill. Love the braces, woolly jumpers and billowing shirts. Some chaps really look like they are going so slow they are about to fall off. That’s a proper hill climb. The crowds are amazing. I suppose people didn’t have tv to watch or computers to stare at in those days. W Hussey won in a time in 1 min 54 2/5 secs. 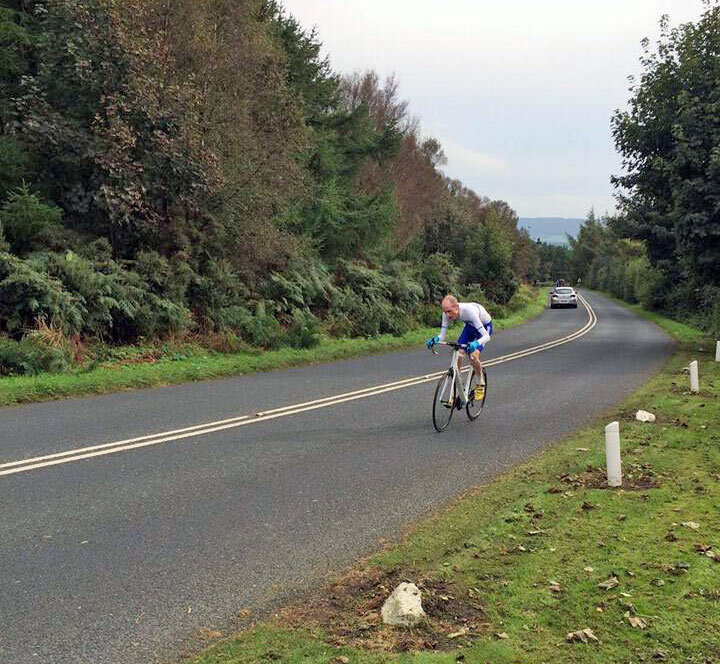 National hill climb tomorrow on Bank Road. I have a cold, but still hope to turn up and ride. The last weekend before the nationals is often Bristol South CC hill climb on Burrington Combe. 2.2 miles averaging 6%. A nice steady gradient, giving a different test to the shorter sharper climbs, like Bank Road. I’m not sure how long the event has been run for. I started riding in 2004, but I know it has been going for much longer. 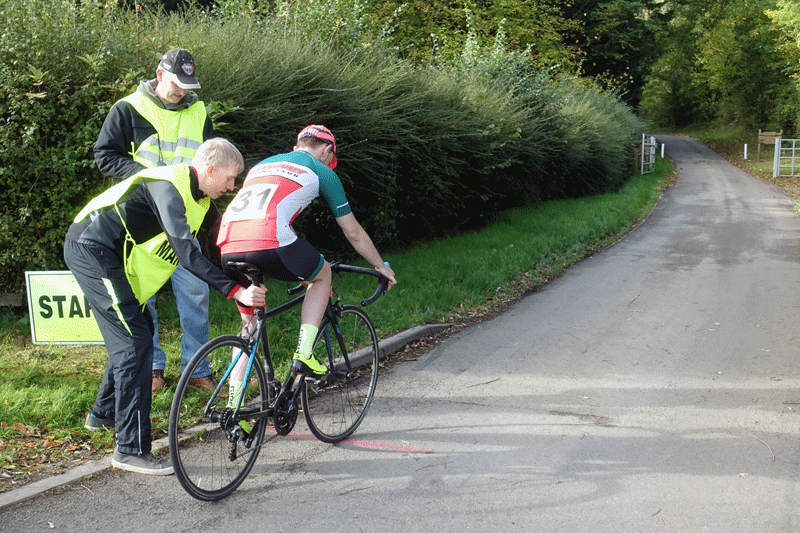 113 riders were on the start sheet – another excellent turnout, showing once more the surprise rise in popularity of hill climbs in recent years. When I first rode in 2004, just 43 tested the time keeper. In the past week, the weather has turned from late summer to autumnal. As we sat in the Burrington Combe cafe before hand, we could see a carpet of leaves falling. After a fashion, this could be south west England’s own “Race of the falling leaves”. For those not doing the national HC, or moving onto the mud of cyclo-cross – this race is often the last of the season. 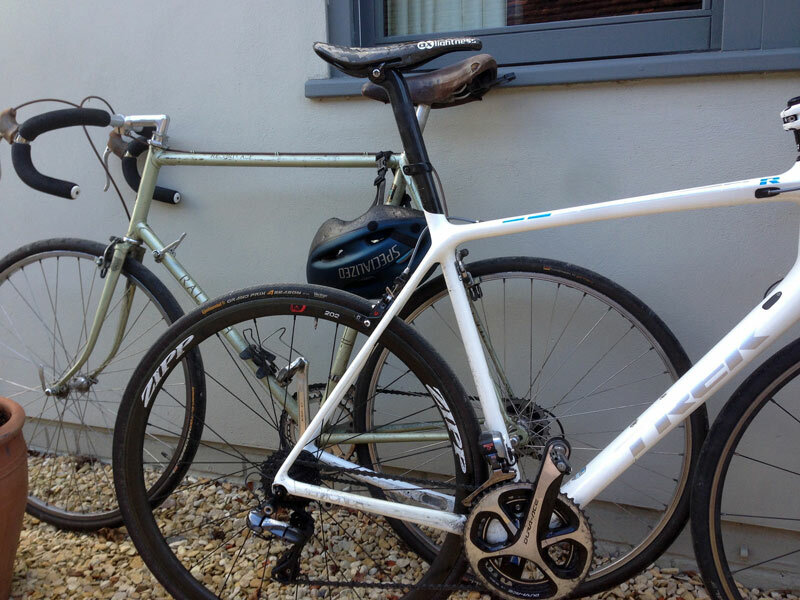 Despite doing well at Burrington Combe in recent years, I did consider dns, due to persistent injury. It is a bit tiresome, if for no other reason – it doesn’t make a great blog, when the primary purpose is giving updates on a slow moving injury. Anyway, I thought it’s only 2 miles so I can’t do too much harm. The weather was pretty good for October, though a slight headwind on Norwood Edge made it a hard second leg. 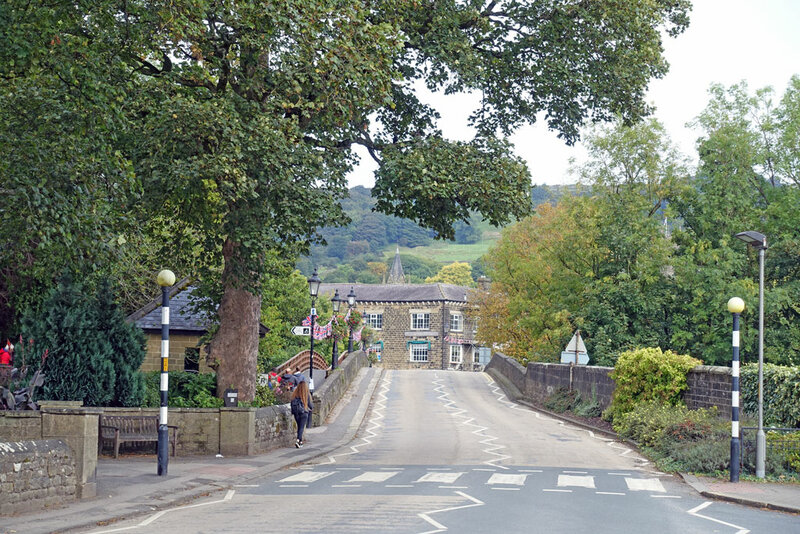 Pateley Bridge is at the bottom of 3-4 really excellent climbs. 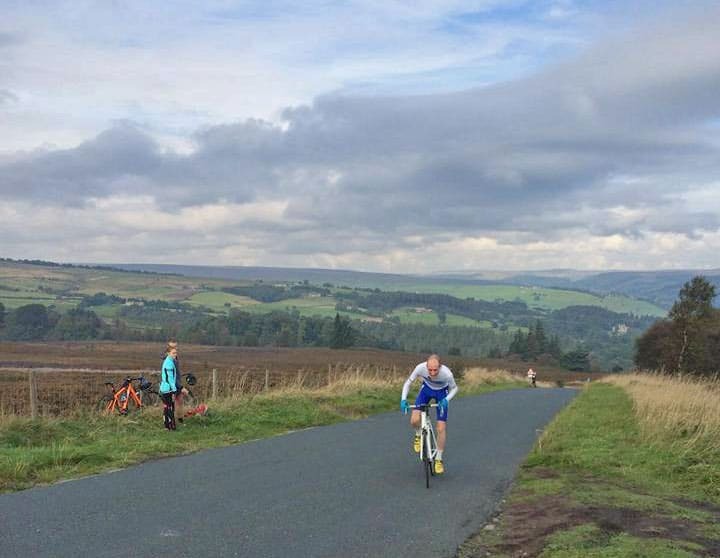 Spread out over 22 years, it was my 11th Otley CC hill climb. First up was Guise Edge just outside Pateley Bridge. I was optimistic I would be able to do OK on this climb. It’s only a short 3 minutes or so, and I’ve had a good track record in previous years. I rode up the steep bits quite well. I kept it in the same gear and didn’t lose any rhythm. Then in the middle it flattens out a little bit so you try and get up a bit of momentum for the last left hander. Once over this I had a look down at the computer. It said about 2.10, which I was quite surprised. It meant I would do a better time than expected. However, I regret looking at computer, I think it upset the intensity and focus of the previous 2 minutes. I looked a second time and I saw the 3sec power had fallen to 250 something. The kind of power you can do in a 100 mile TT. I think for a 3 minute climb, you really want to just ride on feel and not look at anything. It was a long drag to the line – a bit further than I seem to remember. In the end I did a 3.23.1, which I was quite pleased with. Dan Evans set a new CR of 3.13. Kieran Savage (Team B38) a 3.17. Interesting stat. There has been a new course record on Guise Edge for the past 7 consecutive years. I took four CR in a row, now Dan has taken two in a row. A lot of good riders have been up Guise Edge in the past six years including former champions Matt Clinton, Gunnar Gronlund and Jim Henderson. The lowering of record is indicative of the improving standards. Also, it was a good entry of 60 riders in todays event. 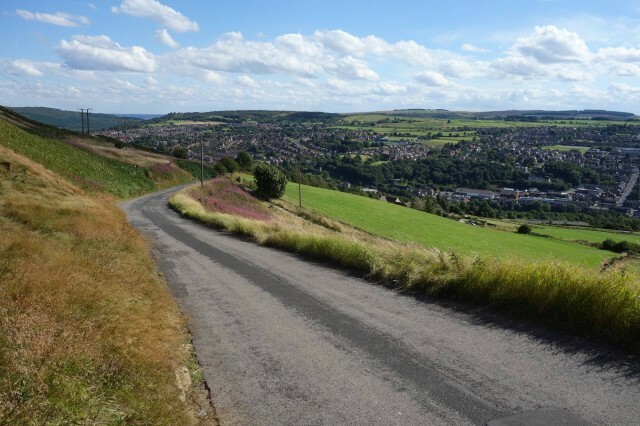 Norwood Edge – It always feels steeper than it looks when you ride it. I used to do relatively better on the longer Norwood Edge climb, but I feared that a lack of training would be more noticeable on a longer climb, where aerobic fitness becomes more important. Also, if you’re not so well trained (or possibly advancing years) a second hill climb after a 3 hour gap is harder work. I never felt particularly good going up Norwood Edge, despite some enthusiastic cheering from spectators on the side of the road. I did a time of 5.14, which was my slowest time on Norwood edge since 1993, when I rode a steel 501 Reynolds frame up Norwood Edge in 6.55 or something suitably slow. There was a record 132 entrants for the third running of the Newbury RC open event on Walbury hill. With a closed road for the event, it attracted a lot of juniors, which was good to see. 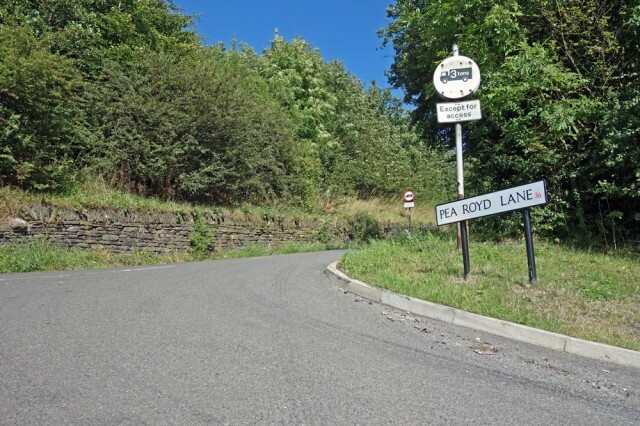 There were also quite a few riders, who are not hill climb regulars – perhaps attracted by a good promotion, closed roads and a hill that is not too ridiculously steep. I’ve still some trouble with hip muscle, which has meant not starting Reading CC hill climb this weekend on Streatley and Goring Hill. I can still ride a bike, but it’s holding me back sufficiently to stop hill climb races; hill climbs are hard enough when you’re fully fit. I tried to do a half-hearted hill interval the other day, and felt I had legs of jelly. It’s a long time, since I’ve felt so little power in the legs. I’m optimistic it might be on the mend, but the hill climb season can come and go – and before you know it the clocks go back and its all over. If I can get fit, it will be interesting to see the impact of 6-8 weeks of not training. In 2014, when I was coached by Gordon Wright, he seemed to observe how little difference two months of training did to an improvement in my performance. I don’t know whether it works the other way, but it feels a long way to climb back up. Why do you always get injured when the weather is unusually good? I’m sure when the Autumn rain, wind and cold comes I will be fighting fit. 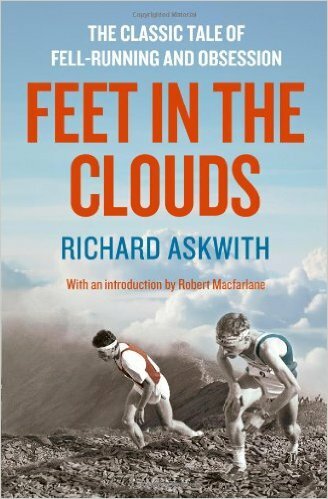 With a bit more time on my hands I’ve been reading a book “Feet in the Clouds” A tale of fell running and obsession by Richard Askwith. I may review because, although not cycling, there seems considerable overlap with amateur cycling. I’ve also written a post at Sri Chinmoy Races – Experiences of self-transcendence. A look at my previous sporting endeavours such as winning the 4 mile Menston Village Fun Run (under 7 category). I left out the fact I was once awarded “Menston Cricket Club under-13 fielder of the year”. But you don’t want to boast too much about these top-level sporting achievements. Kirkstone pass is the highest major road (A592) in the Lake District. It reaches a height of 1,489 feet (454 m) and affords great views of the surrounding lakes. 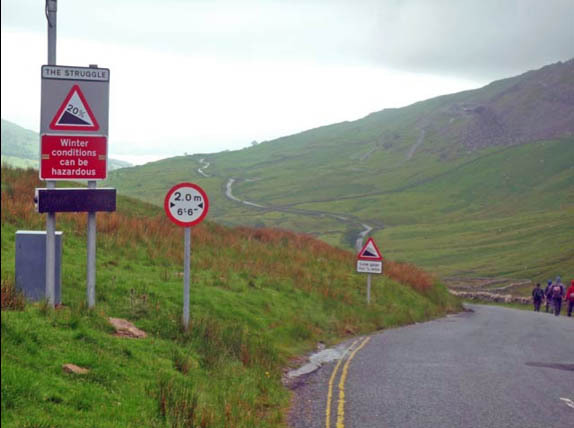 There are three different routes to the top of Kirkstone Pass, each offering there own challenges. 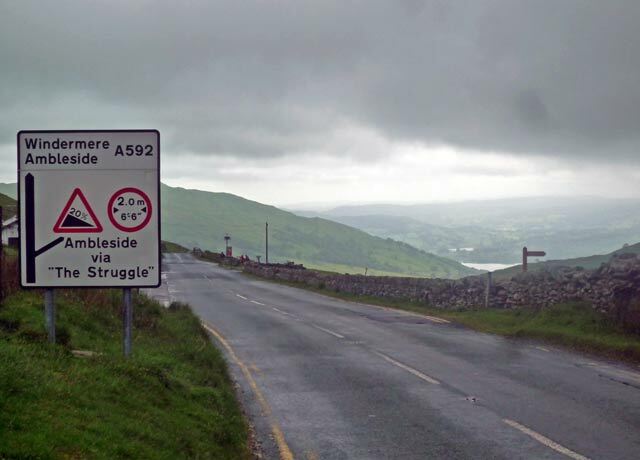 The hardest is ‘The Struggle’ which takes the shortest route from Ambleside to Kirkstone Pass. It is the shortest in distance but the steepest and requires over 400 metres of climbing. 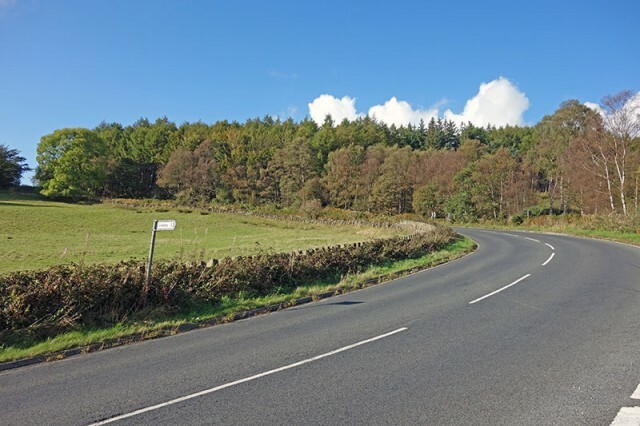 The other two ways, on the main road (A592) are less steep, but make good long challenging climbs. Net height Gain 396 metres from Ambleside. The bottom of the Struggle in Ambleside, don’t be deceived by this photo. 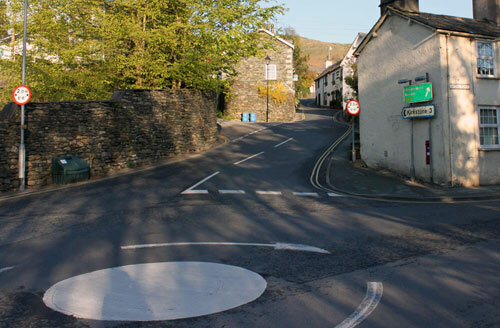 From Ambleside, the road soon becomes very steep around swooping corners. The road surface here is very smooth (it was recently replaced), but it doesn’t make it an easy ride. For a considerable distance, the gradient is between 18%-20%. It’s a real lung breaker. Yesterday there was a huge surge in interest for Kirkstone Pass ‘The Struggle’ It was a great joy to see the professional peleton really struggle up the Struggle. In Belgium you may get many 20% climbs, but at 4km long, this really split apart the peleton. 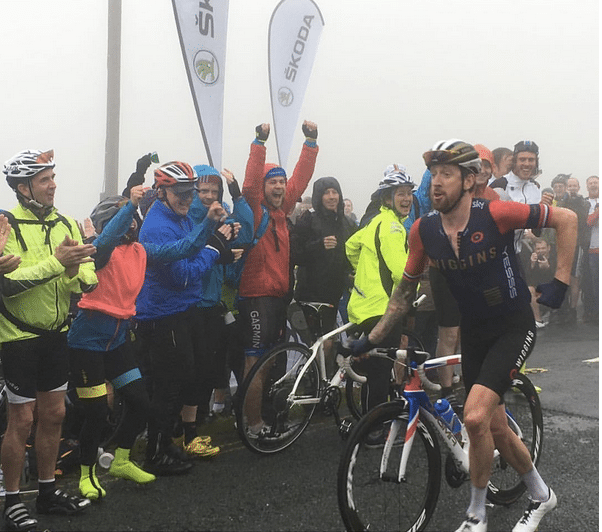 Bradley Wiggins was captured ‘walking’ up the last part of the Struggle, perhaps a slightly mischievous nod to Froome’s running up Mont Ventoux in this years Tour, but Wiggins seemed to be giving the spectators a lot of joy! When watching cycle races on tv, my mother always asks so where’s Bradley? I always say these days ‘he’ll be at the back having a laugh’ – It’s hard to explain how you can win the Tour de France, win an Olympic gold in world record time, but still be at the back of the peleton in the Tour of Britain.